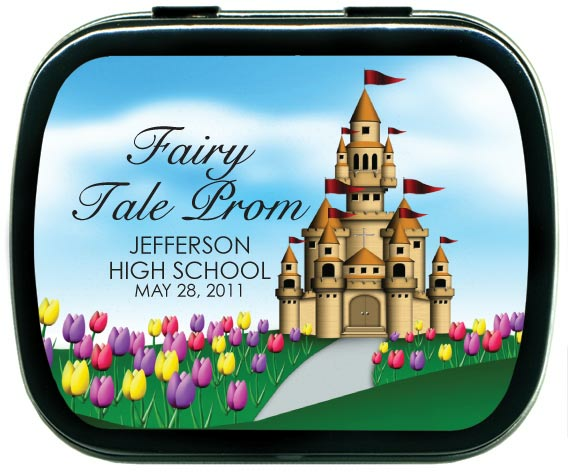 These fairy tale prom mints are a dream come true for party planners. 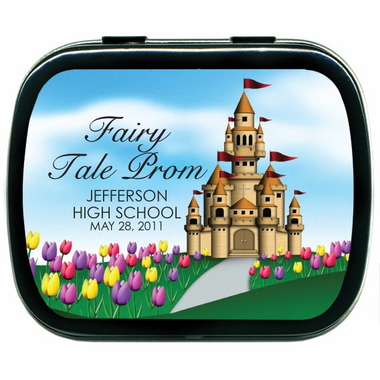 Our fairy tale favors are whimsical without being childish and the mints inside are sure to help you find your prince charming or rescue your damsel in distress. 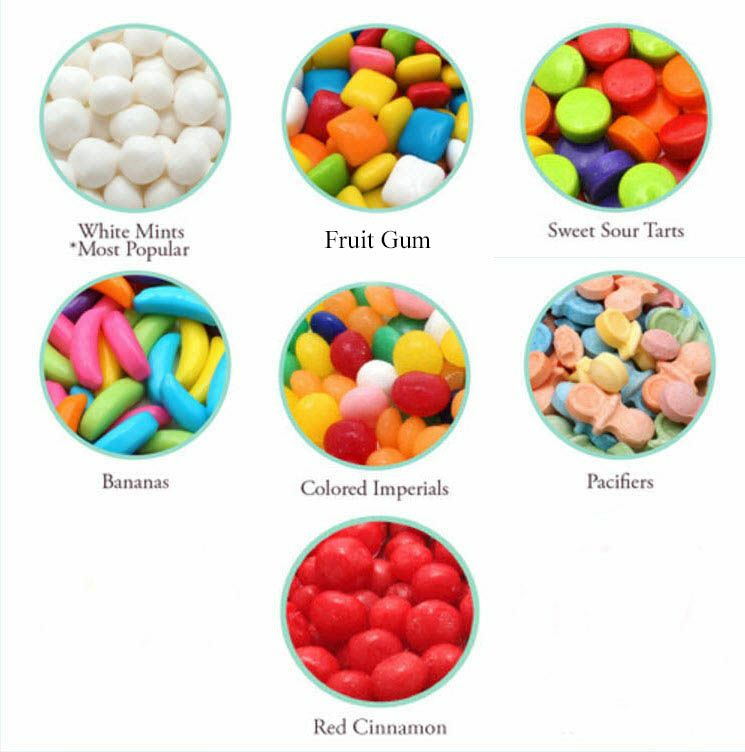 Mints are not the only option though, as you can choose between three kinds of mints, and five kinds of fruit candy to fill the tin. 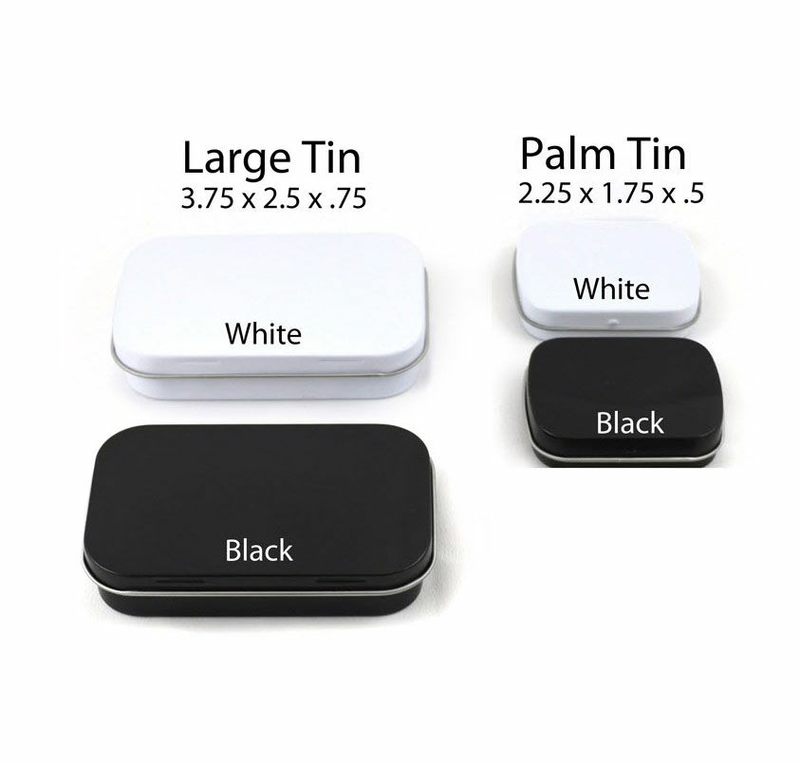 To top it all off, each tin comes with a personalized label.